Dates on reports can be a pain, you have to leave enough space for the worst case scenario, usually 12/12/xxxx, if you have a lot of date columns all that space can add up. Instead of using Short Date in the format field of the report’s format tab, use mm/dd/yy instead. It will guarantee all months and years are two digits and you can space your columns accordingly. Start saving some trees today and use the reduced format! I realized my last comment was a bit hasty. I assume later versions of Access now have mmddyy as formats we can choose. 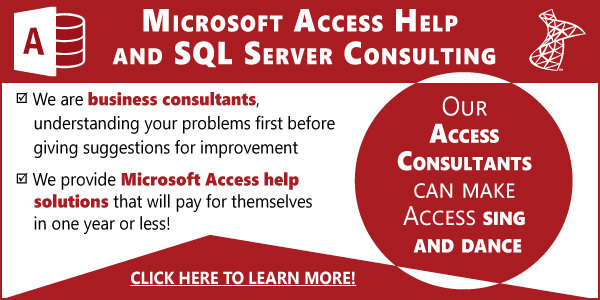 But I’m using Access 2010 and that format is not available, so I was looking for instructions on how to do it myself. So, it’s great that you told me to use this format, but you didn’t tell me how to do it. Not really helpful.